As summertime is starting to come up around the corner, people are starting to make their summer camping plans. 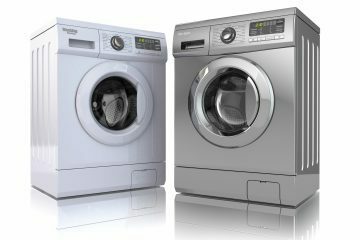 If you are thinking about bringing your RV or camper over to the East Coast to camp out for a while, then you’ve come to the right article. 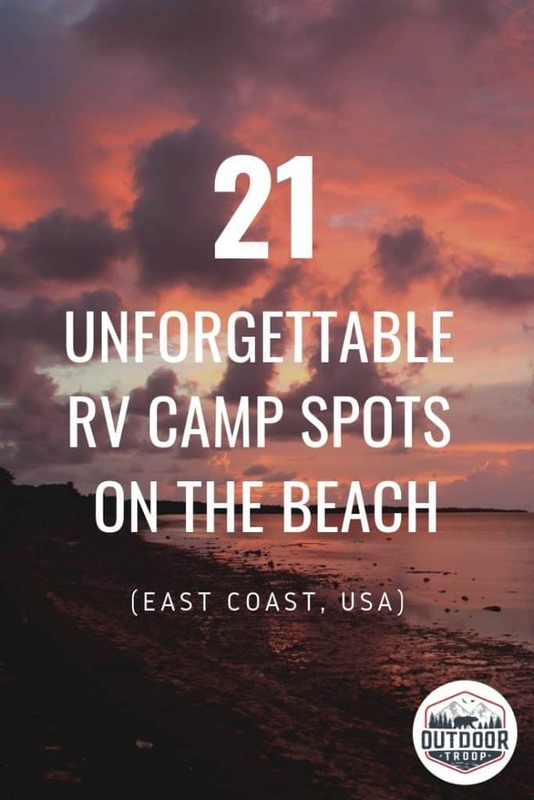 In this article, I will explore 21 unforgettable RV camp spots along the beach that you should visit this summer. You’ll get plenty of camping and beach time at these sites, but you will also get a healthy dose of soul-expanding, diverse culture, and history. The Florida Keys are definitely somewhere you have to go once in your life. They are a little string of islands that extend off the very southern tip of Florida. Here, everywhere you look is beach! Full of amazing Cuban food, long days of sunshine, and the best key lime pie on earth, the Keys are a place unlike any other. Aside from beautiful beaches, there are all kinds of water activities like fishing, snorkeling, and scuba diving to try out. And Everglades National Park is not too far away either. There is so much to see and do here that you could literally stay for months (and many people do). Since the Keys are the southernmost point in the continental United States, the winter the temperatures average around 70 degrees. And so lots of people make the Keys their winter RV escape. Consequently, it can be almost impossible to find an open RV site here in the middle of winter. 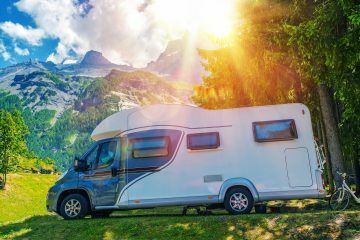 If you are looking for an RV site in the Keys, then know that people start booking 10 months in advance. Also know that the campsites are way pricey that time of year, I am talking in the range of $100 a night for a campsite! It is for these reasons that the best time to visit the Florida Keys is in the spring or fall. The peak winter-escaper crowds have gone, but the intense and muggy Florida summer heat hasn’t come fully on yet either. If you are a fan of science and space technology, then this is another place you need to visit once in your life. Cape Canaveral, Florida has a long history of rocket launches and space innovation. Kennedy Space Center was the launch site of John Glenn, the first American to enter space back in 1962, for every single Apollo mission that went to the moon, and for all of the Space Shuttle missions. The Hubble Space Telescope, most parts of the International Space Station, and many other satellites have lifted off from this place. They also have exhibits that explain the past, present, and future of space travel. You can even take a bus tour and get close to the launch pads, Vehicle Assembly Building, and some original Apollo equipment (included with admission). If you want to see a rocket launch, then you’ve got some options. Within Kennedy Space Center is probably the best place for viewing the launches, there are other great sites too if you don’t feel like paying admission or if you want to avoid the crowds. There are lots of places to camp on the space coast. 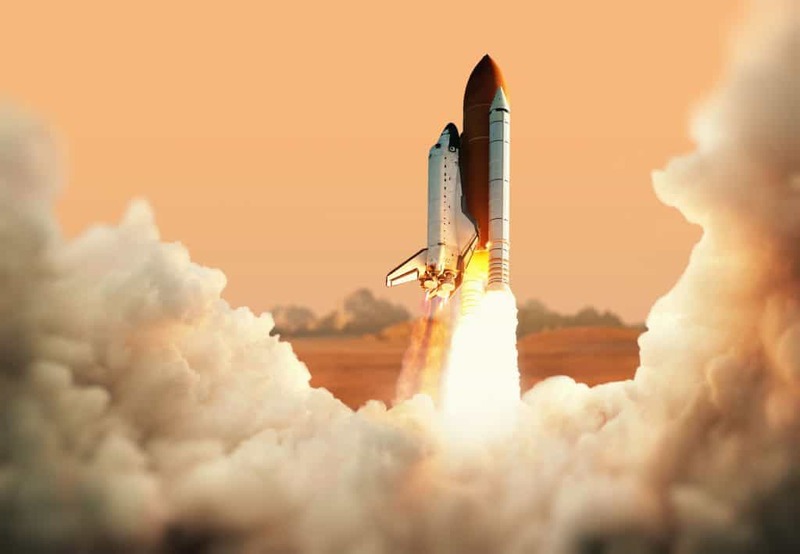 If you want to see a rocket launch, then try camping anywhere in Cocoa Beach, Cape Canaveral, or Titusville. These are all cities within 5 or so miles of the Space Center. 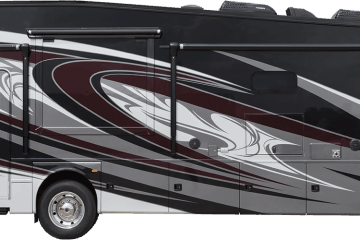 They have RV sites, tent sites, and cabins, so you will be able to take your pick. There is a KOA, some campsites run by the county, and some other private ones as well. From these campsites, you can enjoy some time on the beach while you wait for the rocket to launch. Jekyll Island is an island that you can drive to. The entire island is owned by the State of Georgia. Located about an hour north of Jacksonville, Florida, the island is home to a campground, a wave pool, a sea turtle center, a shipwreck, miles of beach, some hotels, and miles of cool bike trails that connect the whole island. Jekyll Island is loaded with history. It was named by none other than James T. Oglethorpe, the founder of Georgia. But there is much more than that. Native Americans visited the island for centuries, and their clam-shell buildings can still be seen there. Later, France and Spain would do battle over the island, with Spain winning and setting up a colony. After the Spanish colony was attacked by the Westo tribe, England took a seat on the island and eventually it became part of the British colony of Georgia. The island is also a great place for learning biology and conservation hands-on. Because it is so protected, there are very few buildings. Most of the island is home to natural salt marsh and many varieties of wildlife. Kids and adults alike can enjoy cruising around the whole island on bikes or take a tour with a park ranger. And finally, this place has BEAUTIFUL sand! The sand is one thing that is sure to stay lodged in your memory and socks for days after you have left. About an hour from Charleston, this beachfront state park is a great place to stay along the South Carolina coast. Also full of Native American history, this state park has more museum-style exhibits than Jekyll does. This is a great spot for fishing, too. The marshy areas and inland waters are more still than the ocean and full of fish. Also, the sand has changed at this point. No longer white, the Georgia coastline sand becomes darker as you move north. At Edisto, the sand is even gray/black in some places and covered with seashells. While you are here, you will need to pay a visit to Charleston. Charleston is a city that is chock full of historical sites. One of the oldest cities in the South, Charleston has seen firsthand the American Revolution, the first shots of the Civil War, and years of the slave trade. In fact, more slaves arrived from Africa in North America through Charleston than through any other city. Places to check out are Fort Sumter, where the Civil War actually started, Charleston City Market, and old-style market, and (scheduled to open in 2021). The International African American Museum, which will serve to present the history of African Americans in the Americas and even help people with African ancestry trace their roots all the way back to Africa. This is a very nice, very clean, and quiet place to camp. Huntington Beach State Park is located about an hour and a half north of Charleston. This is the perfect place for you if you like to avoid the crowds. Think of Huntington Beach as Myrtle Beach if it had no buildings. This state park has an office and showers/changing rooms, but that’s it! The beach is super clean. You can walk to it from your campsite. The showers and changing rooms are all also very nice and clean. There are lifeguards too, which is always a plus. Apart from the beach, the park is home to an old castle named Atalaya. It was built by the Huntington family, which owned the castle and the land around it. The castle and the park were left as their legacy to the public, and the whole place is now run as Huntington Beach State Park. The castle is open from 9 AM to 4 PM but may close for special events. As already mentioned, if you will be passing through Charleston, there is some serious history to be seen there as well. 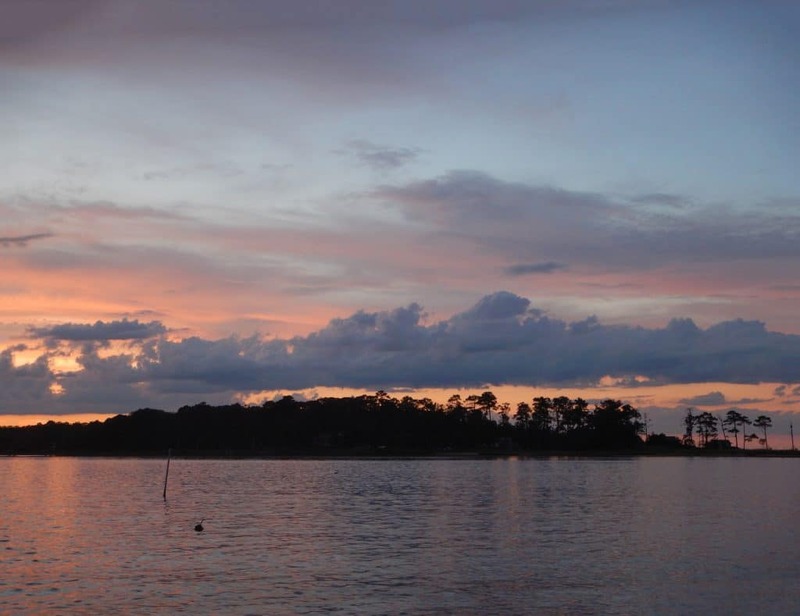 A quiet oasis, this lovely state park is located on the south end of Myrtle Beach. Covered in trees, the area is a stark contrast to the high rises just to the north. The beach here is clean and lifeguards are on duty during the summer season. Camping here will give you the best of both worlds. You will completely enjoy the beach, the quiet, and the forest. And when you are feeling like a trip into town is in order, it is just minutes away. The outer banks is a narrow strip of island off of the coast of North Carolina. A truly unique place to visit, there is something for everyone. Here you can find your peace and quiet or be in the middle of all the action. 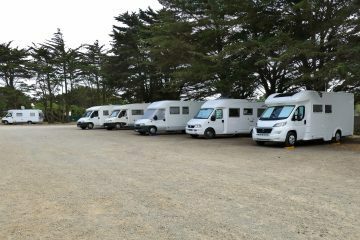 There are various places to camp on the outer banks, with plenty of spaces for RVs. On the outer banks, there are all kinds of things to see and do. Out here you will find several breathtaking, still-functioning 1800s-era lighthouses, a golf course, extremely unique restaurants, surf shops, big waves, dolphin tours, wild horses, fishing boats, jet ski rentals, and go-karts/mini golf, just to name a few. Kitty Hawk, a small community on the Outer Banks, also happens to be the site of the Wright Brother’s first flight. Here they honed their piloting skills until they were able to achieve the first powered flight in an aircraft. The site of their actual flight is now a national memorial with a visitor’s center and all that entails. Farther south along the island you will enter into protected conservation areas, including Cape Hatteras National Seashore. Camp here if you want a quieter experience that is more out in the woods. One of the big lighthouses, the Cape Hatteras Lighthouse, is here as well. The whole island is basically beach, so you won’t be short on coastline to explore and surf. A classic place to visit, Virginia Beach is wide open for exploration. Here there is much to do, lots of restaurants, nightlife, big hotels, and kayak rentals. There is also an old-style lighthouse, which is the first built by the US government after the Revolutionary War, and the first government construction project ever approved by President George Washington. 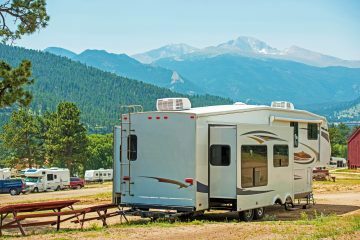 Here there are several campgrounds in the area that can handle RVs, including a KOA. Note that they are not necessarily “on the beach,” and getting to the beach from them will involve walking for a few minutes. Overall, this place attracts lots of people. If people are not your thing, you can also stay in First Landing State Park. First Landing is located on the northern end of Virginia Beach. This state park has oceanfront camping, RV sites, 20 miles of nature trails, and lots of history. The waterways were navigated for centuries by Native American canoes, and the park itself was the landing point for the first settlers from England in 1607. Note that there is no lifeguard on duty here. There are also lots of US Navy installations in the area, which can make noise. For me, the noises are an exciting part of experiencing Virginia Beach but know that they can sometimes be conducting military operations at any hour of the night. This is a small state park on the quiet seashore of southern Delaware. 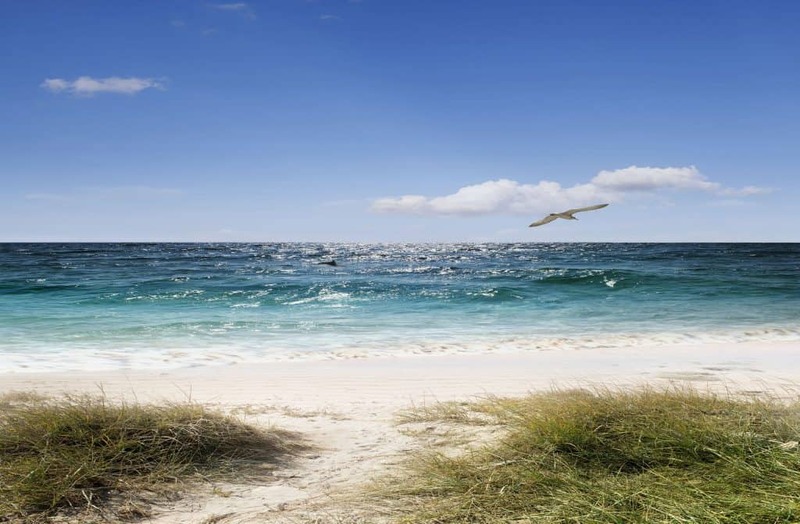 The campground is just a minute’s walk to the beach and has RV spaces available. The beach is named “Coin Beach” because people with metal detectors have been finding coins here for ages. The Beach has lifeguards on duty from 8 to 5 during the day in the summer season. Coin Beach is also a very accessible beach, the place has been designed with the disabled and the elderly in mind so that they can enjoy the beach too. They have what are called “Mobi-Mats” that allow wheelchairs to roll along the beach, so this beach is truly for the whole family. If you are not content to just stay in one spot all day, there are also miles of trails to bike or hike. You can also check out the Indian River Life-Saving Station, built in 1876 by the US Lifesaving Service. Here they explain how ships used to be such a huge part of the US economy and they even periodically demonstrate their old-fashioned lifesaving techniques to save a ship in danger. And finally, like most places along the beach, there are seafood restaurants around the park that serve up unique platters of seafood that you can’t get any fresher. Chesapeake Beach is yet another nice beach along the East Coast. A very small and quiet town, Chesapeake Beach does have some great fishing and some cool restaurants. And of course, it has a beach! Due to the fact that this beach is inland on a bay, it is quieter and more still than a beach located on a direct ocean facing coast. Consequently, this isn’t your beach if you are looking to go surfing. But this is your beach if you are looking to get out somewhere rural and try something different. Enjoy the true Maryland countryside here. 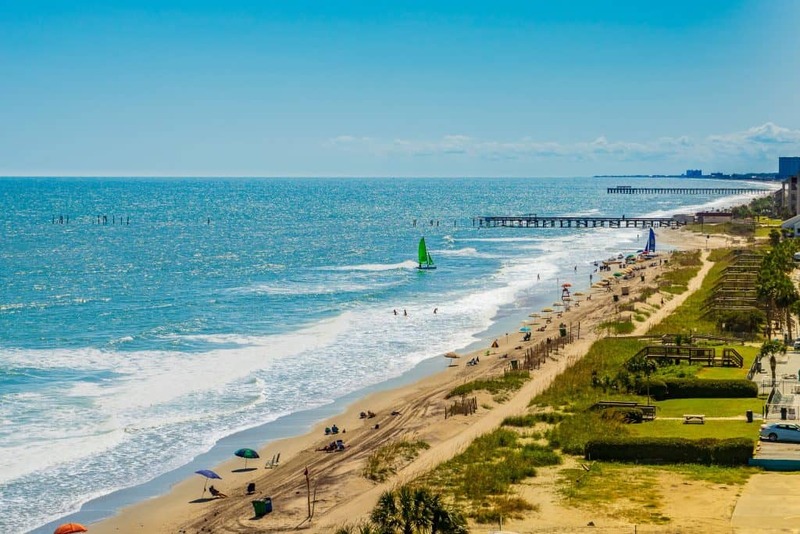 One thing that makes this beach a great stopping place on your journey is its proximity to Washington, D.C., which is a must-see place if you are passing through the area. Long Island is aptly named. As is leaves New York City on its western end, the atmosphere becomes more and more relaxed the farther east you move. On the eastern end, there are a few State Parks that give beach access. The best one for camping is called Hither Hills State Park. With spaces for both tents and RVs, Hither Hills is a great place to enjoy the beach for a day or two of quiet, classic American seashore. Since you pretty much have to go through New York City to get here, there will be PLENTY of stuff to see on the way in or out. I won’t even attempt here to get into all that you can see in New York, but know that it is all on the way to this great, relaxing beach. One of three beaches we will mention on the Connecticut coast, Hammonasset Beach State Park is the largest in terms of shoreline. A stay at this state park will give you plenty of space to explore. 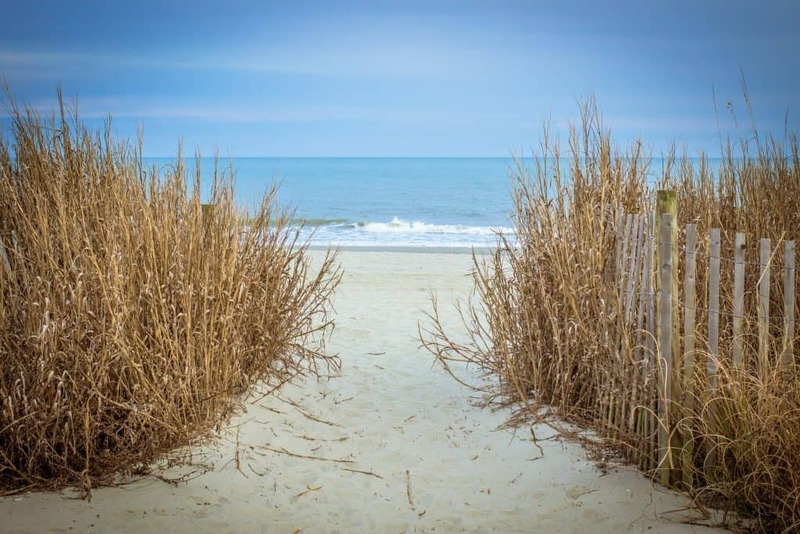 With two miles of clean, managed coastline, you are sure to find a spot for you and your family to enjoy the fresh breeze of the New England ocean. Another beautiful white beach with lots of shoreline. You can camp in the park or at a KOA close by. Also, note that Harkness Memorial State Park is close by. While that one doesn’t offer camping, it has a beach and the old summer mansion of the Harkness family. Harkness Memorial also doesn’t charge for parking on weekdays, so you could visit whichever one you like. Both of these state parks are great. A beautiful, very New England-ey beach, Charlestown Breachway is a semi-rural place to escape to. And staying at the Campground is the best way to enjoy it. The Breachway has a boat launch and is a great place for fishing. Surfing is not the best but some people attempt. Note that while they accommodate RVs, they don’t have any hookups, and you will need to have self-contained tanks to camp here. Cape Cod is a large peninsula stretching out from mainland Massachusetts. Extremely picturesque and well preserved, Cape Cod is a place frozen in time. That being said, the coastlines are always changing. Here there is a lot to experience. Cape Cod National Shoreline is a national park that is extremely odd-shaped, covering almost 600 miles of shoreline on the Cape. There are beautiful sand, beautiful towns, and beautiful weather to be had here. There is also a lot of history. All ships going between Boston and anywhere have had to navigate the shallow sandbars off the Cape, and the sandbars have claimed over 3,000 ships in 300 years of recorded history. At the extreme northern end of Cape Cod there is a town called Provincetown. Your experience staying here will be somewhat similar to other places on Cape Cod, but this place is truly its own. There is no placelessness to be had here. The people of this town are full of their own culture, and one feels as though he has stepped into a storybook. Provincetown also has quick access to the beach, including the farther-out parts of the Cape Cod National Seashore. 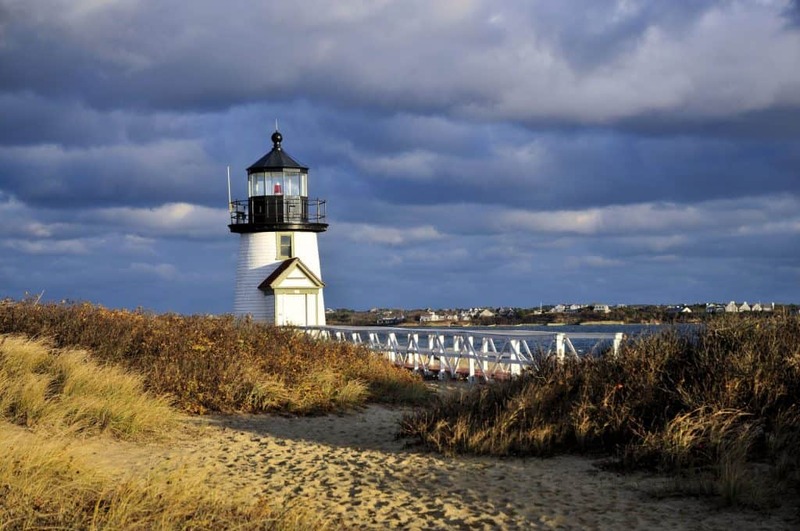 There are several RV parks in Provincetown, including Coastal Acres and Dune’s Edge Campgrounds. Salisbury Beach is another really nice area on the northern coast of Massachusetts. The campground at Salusbury Beach State Reservation is the closest place to camp to the beach. With 484 campsites, it’s almost a small town. While this isn’t the place for people looking to escape the crowds, it is a great place to camp if you like to be right on the beach. There are other places to camp as well. There are a few campgrounds a little further inland if you like the woods and seclusion a little more. A very relaxed beach, Hampton Beach State Park is one of the only RV-compatible campsites on the New Hampshire coast. A great place for family fun, or even beach weddings. Lifeguards are on duty during daytime hours in the summer season (which runs from June 15 to September 8). This town is a gem! Old Orchard Beach is a town with personality. While the true locals number about 9,000, the population swells to around 75,000 in summer. And they are all welcome. People come from all over to enjoy the small-town hospitality that is here. The beach here is unique and has CRAZY tides. At low tide, the beach stretches far out. Then there is the pier, which stretches 1,800 feet out into the ocean. Like the rest of the town, the Pier is home to restaurants and shops. If you are looking to experience a new place, Maine, in general, is sure to satisfy your wanderlust, and Old Orchard Beach, in particular, is a great place to throw down for a few days and teach yourself how to enjoy life again. I know, I know, this isn’t technically a beach. But this campground is truly a gem in the heart of mid-coastal Maine. You will have a great time kayaking, swimming, hot-tubbing, and sauna-ing here. 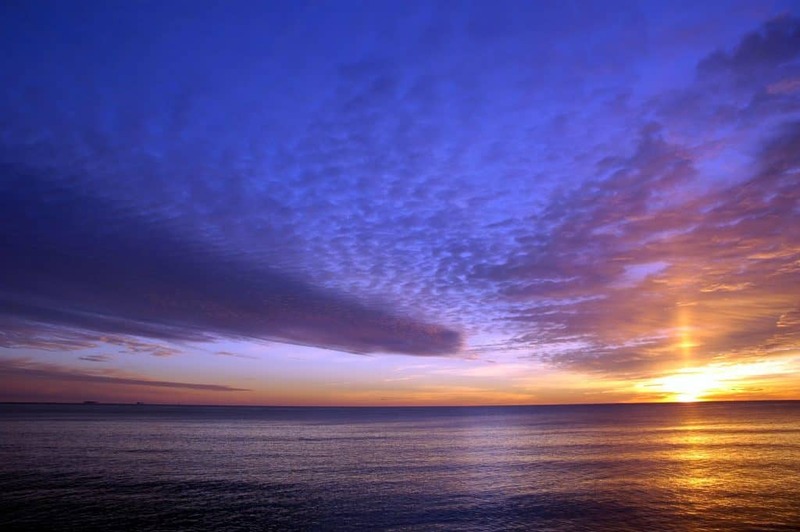 While you will enjoy camping on the lake, the ocean is also just a few minute’s drive away. Surrounding the campground are many small townships and fishing villages that are the ultimate antidote to placelessness. Barely two hours from Canada, Acadia National Park is the northernmost point on our list. And it is worth the drive! Acadia National Park is a beautiful place to camp and it is FULL of things to see and do. The whole thing is contained on an island. 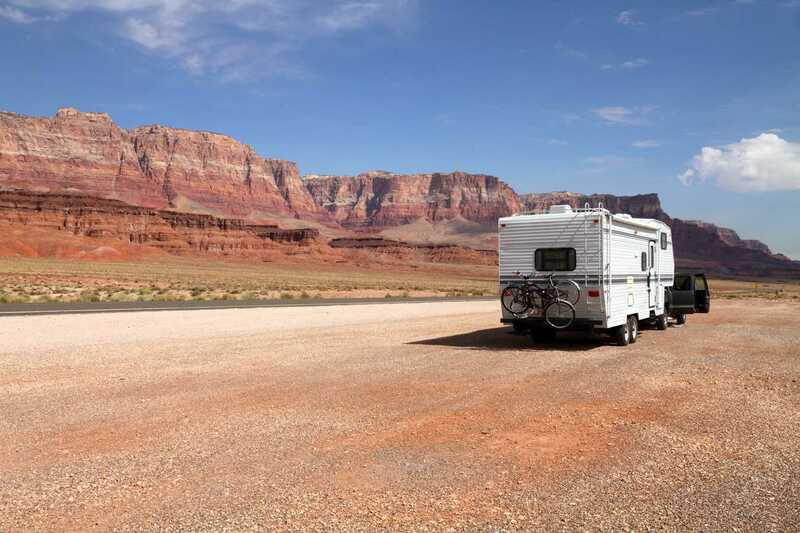 There are two campsites to choose from, and not all camping spaces can accommodate RVs. Also, you are not likely to get a spot without a reservation. So be sure to plan ahead and reserve an RV spot in advance. If you don’t want to worry about finding a spot, there are other good places to camp in the area. Being an island, there are miles of coast to explore at Acadia. Northern Maine’s rocky coast is very unique. Even within the park, there are variations on what the coast looks like. Some parts of it are sheer cliffs, while others are solid rocks, while others are smaller, more broken up rocks that act more like a beach. The point is, it’s all rocky. There is not much sand to be seen here. Seeing the waves crash on the cliffs is one of the coolest things to see. Thunder Point, in particular, is so named because the waves crash into the cliff wall in such a way that it makes a thunderous noise. Within the park are some of the most breathtaking hikes on the East Coast. From beginner to challenging, there are various hikes you can take that will give you some elevation. The views from these vantage points will not soon be forgotten. Overall, there are tons of cliffs, forests, other small islands, a lighthouse, a spring, and gardens to explore. On foot, on a bike, or in a car, there are things for you to see here. When does the camping season start? Although each year is slightly different, the dates for the camping season is roughly the same every year. Most campgrounds open up in mid-May, although you can usually start making reservations in April, and most of them close in late August or early September. If you live further north, the camping season will be a little shorter. 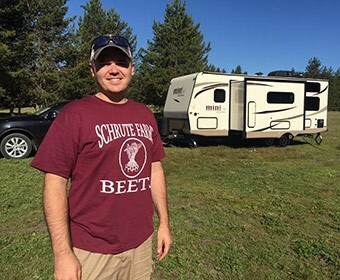 How long can you camp in a state park? You can stay at a state park for 14 consecutive days, and for 14 days in a 45 day period. Although each state has slightly different rules, that is the rule you will find is the most common.